Monk: Guys, I think I am in love. Despite growing up in High Point not 20 minutes from Stamey’s, I’m a little ashamed to admit that this past Friday was my first visit to the joint. I mean, Carter Brother’s was fine at the time but why didn’t someone drag me by the ear to Stamey’s? 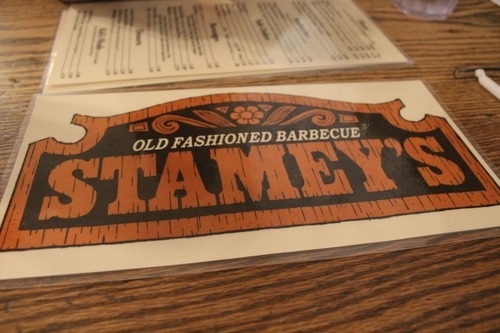 Rudy: It’s funny that you had never been there, because I practically grew up on Stamey’s. It is located about 2 blocks from my Dad’s business, so I ate there all the time. 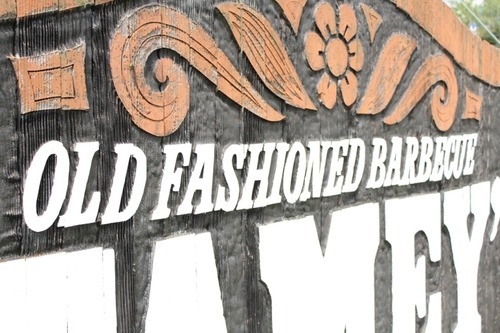 It is pretty much the barometer for how I view all barbecue. It is also directly across the street from the Greensboro Coliseum, so during the ACC Basketball Tournament, it is packed all day long. Monk: There really is no good explanation as to why it took so long but in any case, after finishing my latest reading material and getting a better understanding of Warner Stamey’s legacy and influence on Lexington style barbecue in NC, I knew I had to get here asap. And visiting my parents for the weekend while my wife went out of town presented the perfect opportunity. My dad and I were already going to be in Greensboro so we planned to stop in at Stamey’s that day. 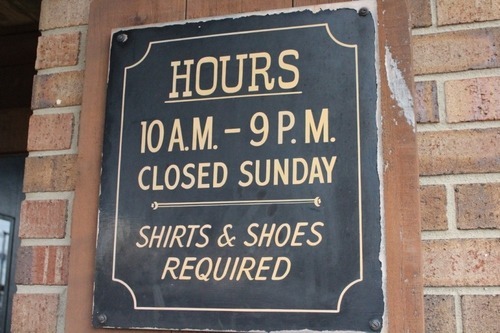 We walked into the large wooden building, sat ourselves in a booth and did the usual barbecue joint drill – order a drink, order food when the waitress returns with our drink 2 minutes later, and then receive the food another 2-3 minutes after that (if not sooner). 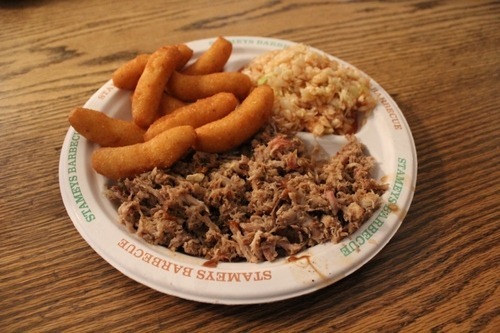 Soon a perfect plate was presented before me with chopped pork barbecue, red slaw, and oblong hush puppies. After snapping a few photos, I took my first bite and wow. Just wow. Immediately I knew an overall 5 whole hog ratings was in play. Nice chop, perfect smokiness that can’t be faked with gas, and the right ratio of sweetness to tang in the sauce. I ordered the regular plate but immediately wished I had ordered the large. Rudy: With so many places moving towards gas, it is refreshing to see a big stack of wood piled in the corner of the parking lot; a clear sign that they are sticking with the traditional smoking, which makes the whole difference. 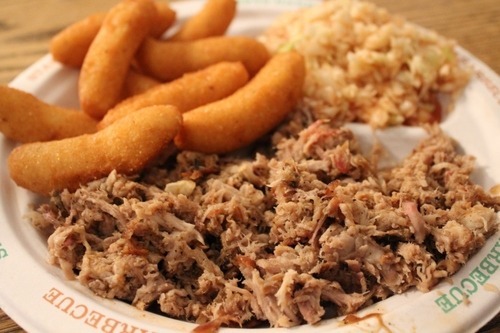 Monk: In case you weren’t aware (I wasn’t until recently), Warner Stamey is actually credited with introducing hush puppies into barbecue meals in the 50’s (it had previously only been a seafood side). As stated in this space numerous times, I like a sweeter hush puppy and while these weren’t quite as sweet as I’d have liked they were pretty good. The red slaw was above average and a Cheerwine rounded out the meal nicely. My Dad and I also split a blueberry cobbler bro-style (separate plates, thank you very much) for dessert, which was quite good. I’m usually too full to order dessert at a barbecue restaurant, but I’m glad I did on this day. Rudy: One of my biggest complaints about barbecue in Texas is the lack of effort with sides. Most of the time it is just some beans as an option. 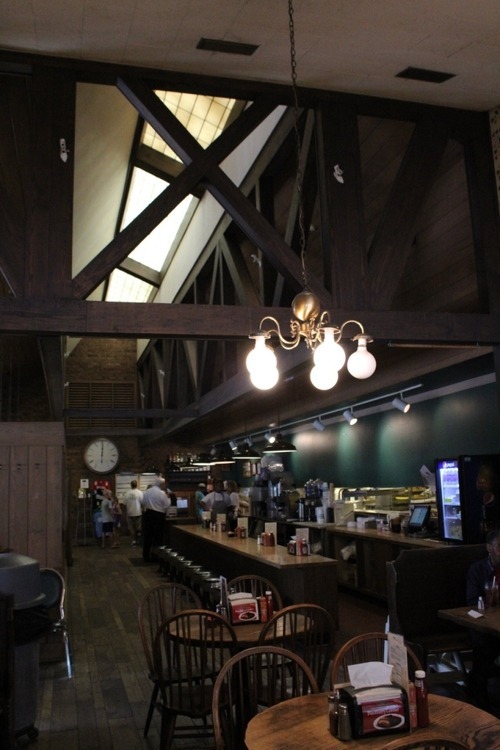 Stamey’s has brunswick stew as a side option…and it is amazing. Next time anyone goes there, it is an absolute must. Monk: I wish I had seen your tweet and had ordered the brunswick stew, but next time. When the bill came out I did a double take since the entire meal was under $14. Total. I have come to expect to pay that much for just myself. So you’re telling me not only is this probably at least as good as the best barbecue I’ve ever had (Lexington #1), but the prices are ridiculously reasonable too (a sandwich is $2.99 and a regular plate is $5.29)? I can’t say enough good things about Stamey’s and I hope to make it back very soon. It is the definition of a 5 whole hog plate of chopped pork barbecue and to me, also the definition of a 5 whole hog joint. 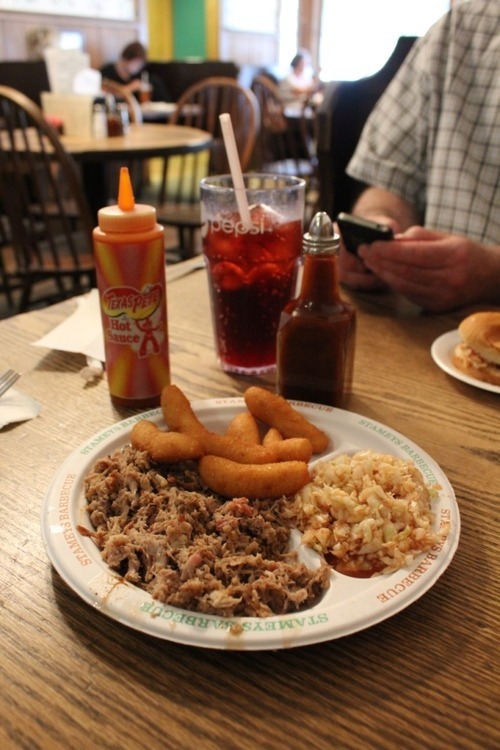 Pingback: Stamey’s Barbecue, Greensboro NC – Marie, Let's Eat! 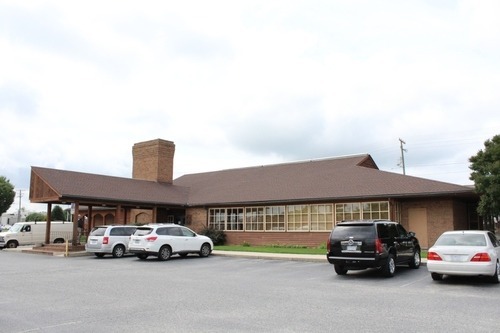 Pingback: Stamey’s Barbecue, Greensboro NC (Marie’s take) – Marie, Let's Eat!